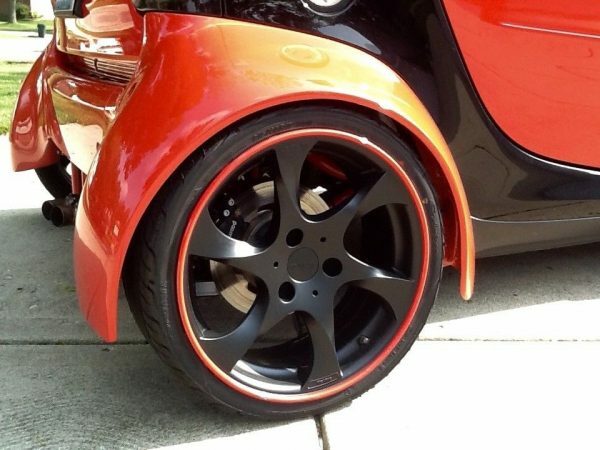 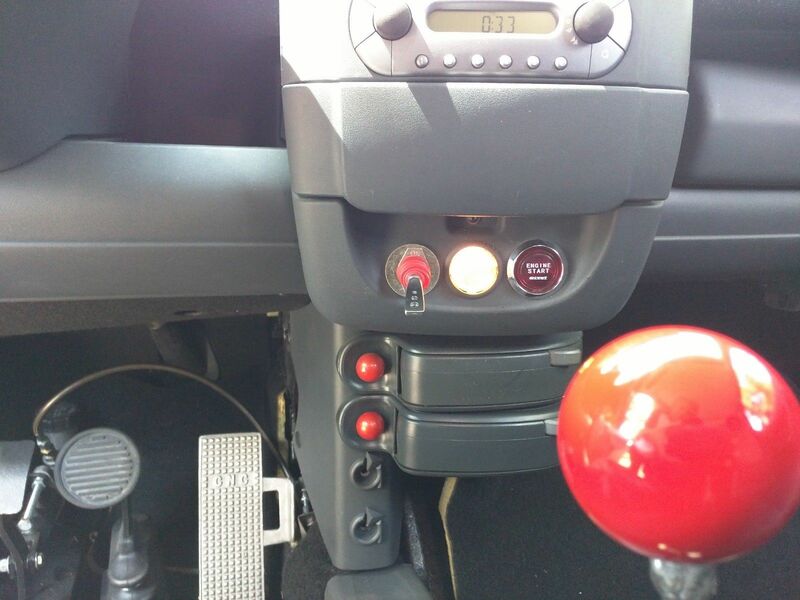 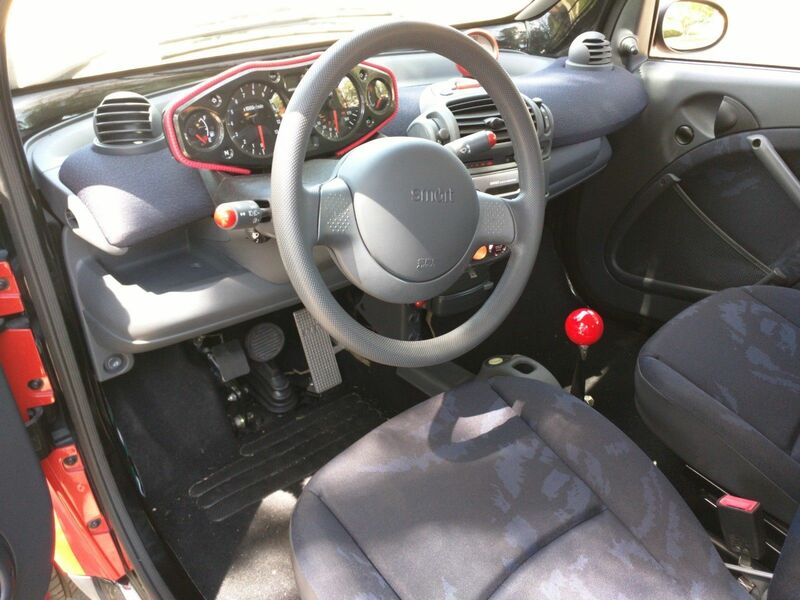 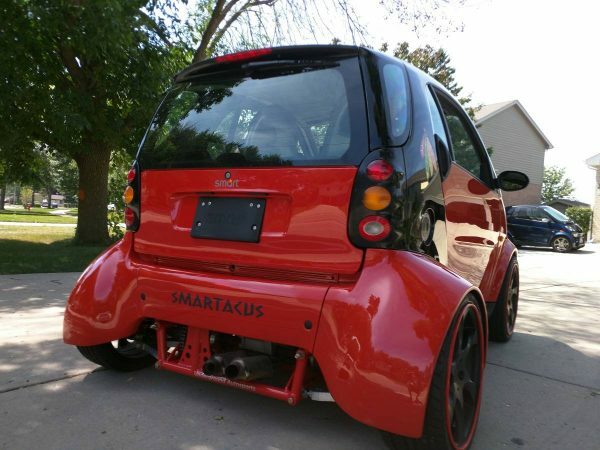 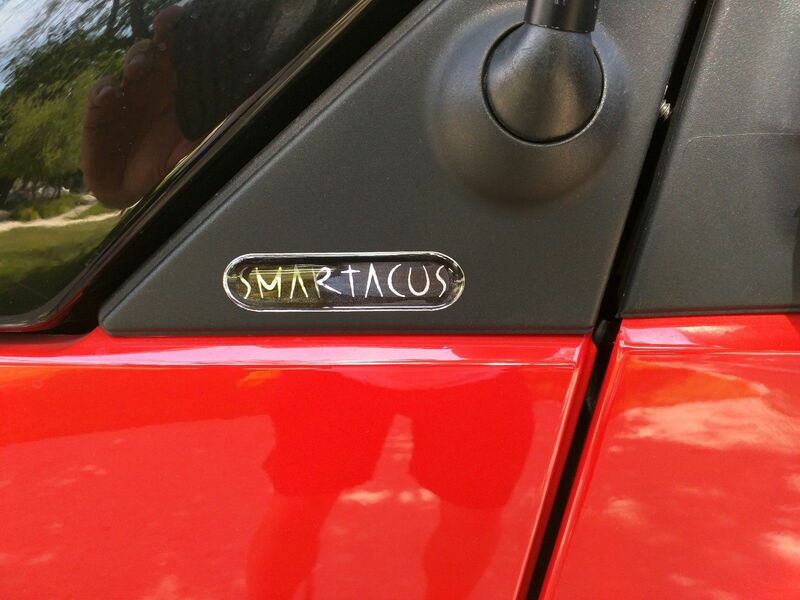 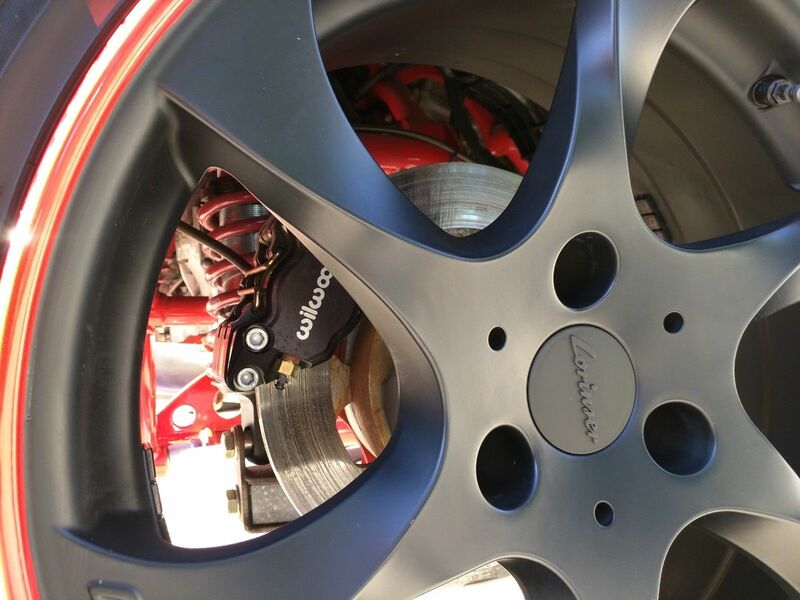 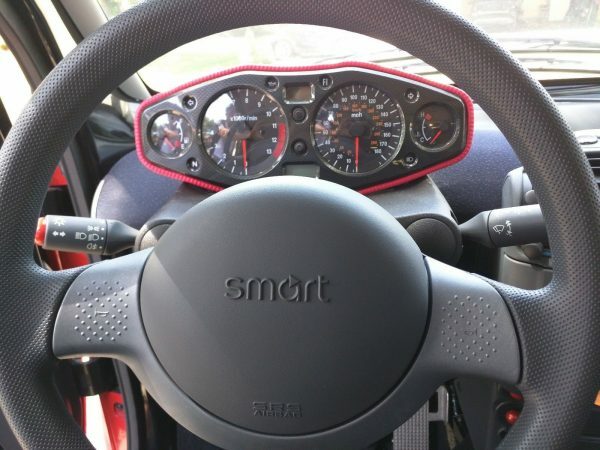 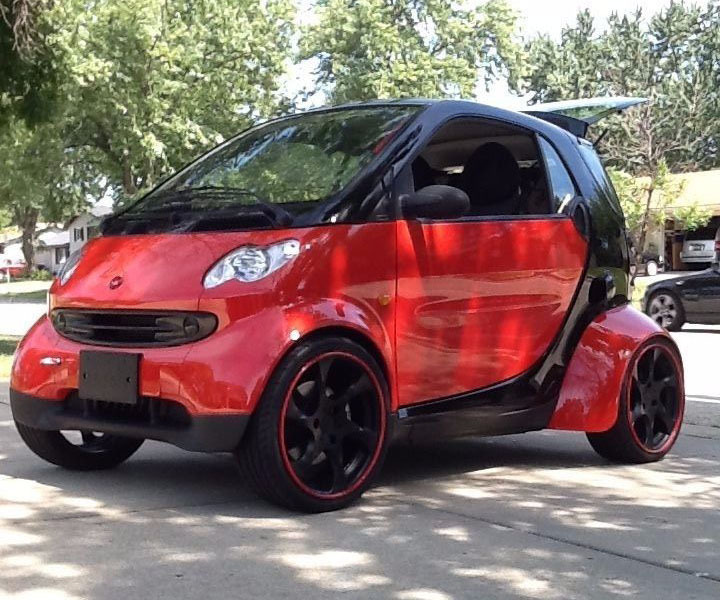 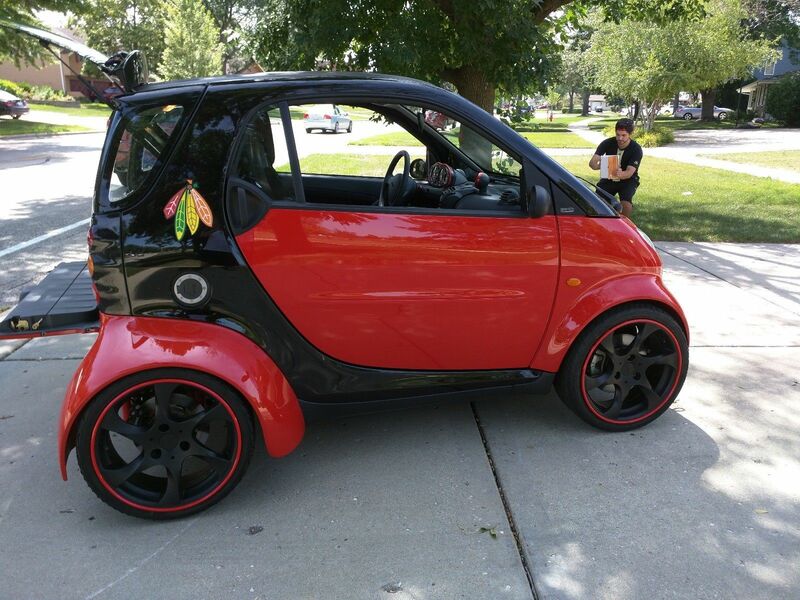 This 2002 Smart Fortwo W450 called “SMARTACUS” is for sale on eBay in Schaumburg, Illinois for $23,500. 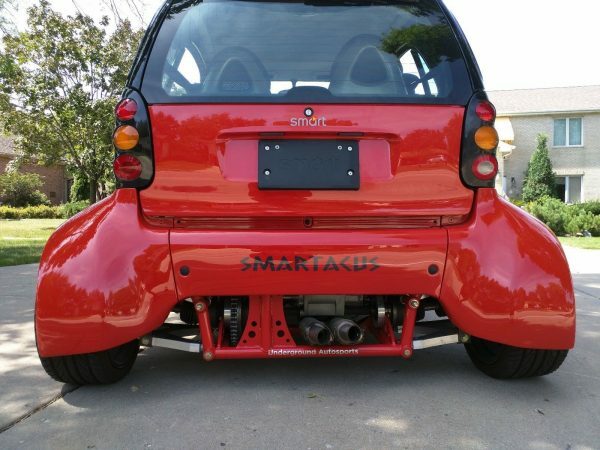 The little car is powered by a 1299 cc inline-four from a 2002 Suzuki Hayabusa that makes 173 horsepower and 93-99 lb-ft of torque. 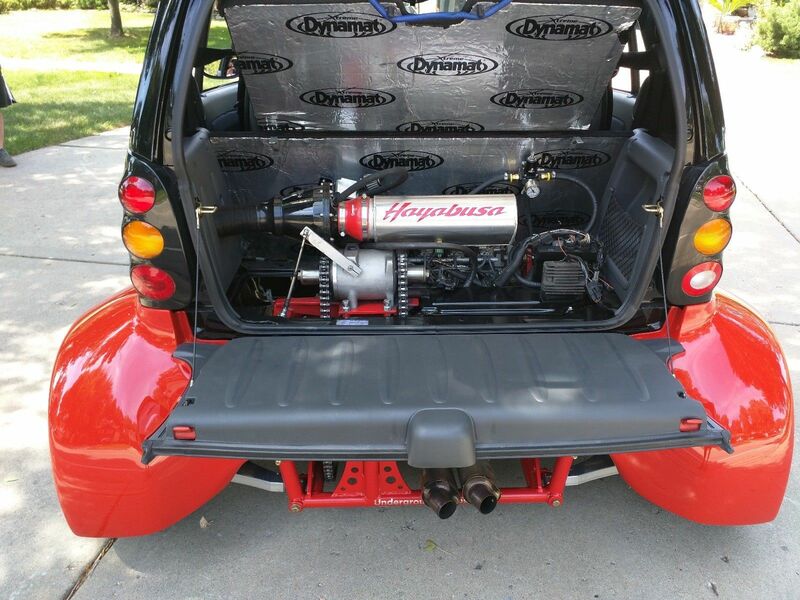 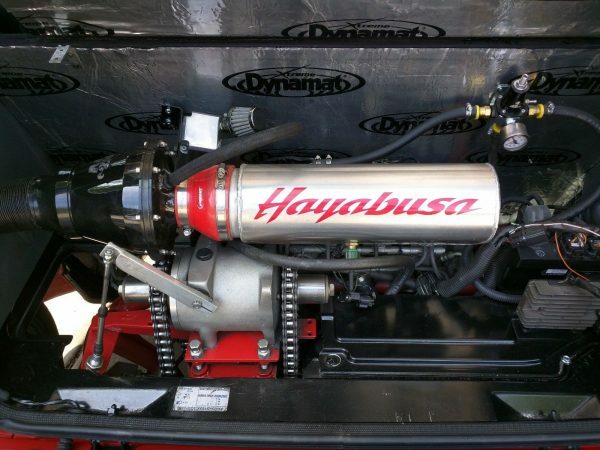 They installed the engine using a Sinister Sand Sport swap kit for $15,397 that includes a reverse unit. 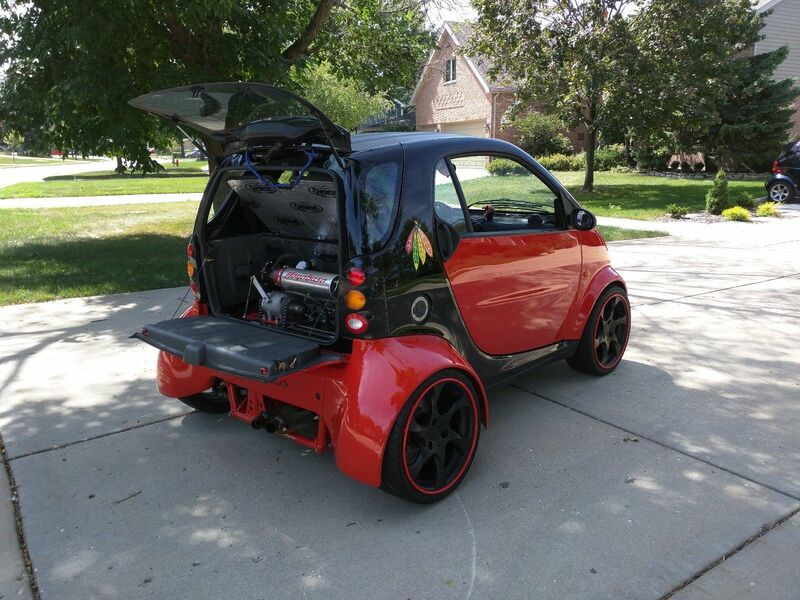 The owner says they have just under $45K into the project.